Every president has played a role in making the food system what it is today, but these eight stand out, for better and for worse. But a small number of presidents spanning the history of the republic have had particular influence on our food supply and culture, and its impact on the health and well-being of all Americans, including farmers. And notably, as we’re also observing Black History Month, the interventions of those past presidents in our food system have often particularly affected African Americans. 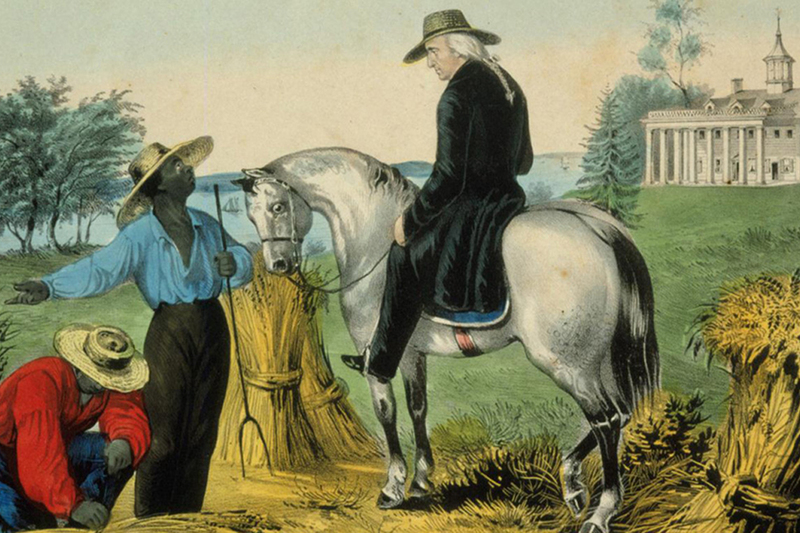 The grim reality behind Washington’s farming success, though, is that his farms were worked by slaves. A slaveowner since age 11, when he inherited ten slaves from his father, Washington bought and sold Black people throughout his life (reportedly treating them severely and separating family members through sale), and 317 slaves worked on his estate at the time of his death. The devastating legacy of racial injustice and inequality at Mount Vernon is still with us, but it is being gradually undone. The 126-acre historic Woodlawn estate—originally part of Washington’s farm network—was purchased by northern Quakers prior to the Civil War, expressly to prove that you could farm profitably without slavery. Today, the site is occupied by the Arcadia Center for Sustainable Agriculture, whose work includes a mobile market delivering fresh, healthy, affordable food to food-insecure neighborhoods like this one in the Washington DC area. The third president has been called America’s “first foodie” for his love of the table, and of French cuisine in particular. He ate a lot of vegetables, and introduced many new ones to the United States. On his Monticello estate, Jefferson introduced and experimented with a vast variety of food crops, including 330 varieties of eighty-nine species of vegetables and herbs and 170 varieties of the fruits. An avid experimenter, Jefferson’s trials often resulted in failure, leading neighbors to call him “the worst farmer in Virginia.” But in truth he promoted techniques to build soil health through adding organic matter, and by sharing seeds and techniques widely, he promoted commercial market gardening and spread new crops that expanded the young nation’s food traditions and palate. Perhaps even more than Washington, Jefferson’s legacy is marred by the stain of his complicity in slavery, and his racial views. He embodied the inherent social contradictions at the birth of this nation that we have yet to resolve, by denouncing the institution of slavery while simultaneously profiting from it—he owned some 600 slaves who worked on his Monticello farm and other holdings, employed brutal overseers, and fathered children with his slave Sally Hemings through a relationship that, by definition, could not have been consensual. His goal of “improving” slavery as a step towards ending was misguided, as it was used during his time as an argument for its perpetuation. Born in that legendary log cabin on his father’s farm in Kentucky, Lincoln was, as he put it, “raised to farm work.” His father farmed frontier land in southern Indiana before moving the family to Illinois, where Abe later got his political start in the state legislature. A believer in technological progress in agriculture, Lincoln advocated for horse-drawn machines and steam plows to take the place of hand labor. As president, he advocated for and signed legislation creating the U.S. Department of Agriculture (USDA), which he later called “The People’s Department,” since about half of all Americans at the time lived on farms. And Lincoln’s early belief in the value of educating farmers came to fruition in 1862 when he signed the Morrill Land Grant College Act, which facilitated the transfer of public land to each of the states to establish colleges of agriculture and the mechanical arts. Teddy Roosevelt’s is known as one of the nation’s great conservationists, but that legacy was born out of a series of calamities. On a hunting trip in the Dakota Territory in 1883, the passionate outdoorsman discovered that native bison herds had been decimated by commercial hunters. Cattle ranching on the region’s vast grasslands was booming in bison’s wake, and he became interested in the cattle business, investing $14,000 (a huge sum at the time) in a ranch. Returning to politics in New York, Roosevelt was struck by tragedy with the death of both his mother and his wifeon the same day in 1884, and he turned to the West and the ranching life to forget. But cattle in the Badlands at the time was itself a looming disaster: a boom with no regulation quickly led to massive overgrazing, and a scorching summer followed by a harsh winter in 1886-87 proved deadly. Tens of thousands of cattle, about 80 percent of the region’s herds, froze and starved to death in a blizzard. Roosevelt himself lost over half his herd, and soon got out of the business. In the Great Depression and the Dust Bowl of the 1930s, FDR inherited economic and ecological catastrophes that hit farmers particularly hard. The Dust Bowl was caused by massive-scale plowing up of grasslands (the Great Plow-Up of the 1910s and ’20s) followed by four distinct drought eventsin the 1930s. It scorched the Plains and literally blew away its soil, leaving millions of acres of farmland useless, driving farmers into bankruptcy and off the land, and worsening the banking and unemployment crises. An amateur forester, Roosevelt understood the importance of soil conservation, and soon after taking office he established the Civilian Conservation Corps and the Soil Erosion Service. The latter (now the USDA’s Natural Resources Conservation Service) was the first major federal conservation effort to focus on privately owned natural resources. FDR also launched the Plains Shelterbelt Project effort that planted millions of trees, creating windbreaks (now at risk) on farms from the Canadian border to Texas. And he initiated farm policies to help farmers manage future boom-and-bust cycles by preventing overproduction. The Agricultural Adjustment Act enacted on his watch would grow into today’s wide-ranging farm bill, which still struggles with how to deal with overproduction while providing livelihood for the nation’s farmers and conserving soil and water. Nixon was a contradiction. Scholars continue to dissect his deep character flaws and divisiveness, but also his achievements. Among the latter, he created the EPA and signed the National Environmental Policy Act (both of which, one hopes, will survive the current administration’s manyassaults), and he made dozens of other environmental proposals. But his lasting legacy in agriculture continues to haunt us. That’s because Nixon gave his blessing to his agriculture secretary, Earl Butz, to essentially undo decades of FDR’s supply management policy. The Nixon years would be all about maximizing and consolidating farm production. “Get big or get out,” Butz told farmers in 1973, and boy, did they. His policies encouraged farmers to plant as much corn and other commodities as they could, on every possible bit of land. Today, one might argue, we have Nixon and Butz to thank for persistent fertilizer pollution in our nation’s waterways, for high-fructose corn syrup and the power and deception of the food industry, and for our enduring crisis of obesity and diet-related disease. (Read the full story of Secretary Butz, entertainingly told by Tom Philpott back in 2008.) Buzz’s obit recounts how a nasty racist comment ended his political career. While George W. Bush spent a lot of his presidency clearing brush on his Texas ranch, he wasn’t particularly known for his agriculture policy. But during his administration, a long-simmering dispute between the USDA and Black farmers came to a head. The background: in 1997 a group of Black farmers sued the USDA, citing years of racial discrimination by the department, which denied Black producers loans and other assistance and failed to act on their claims for years. The farmers prevailed in 1999, winning a $2.3 billion settlement from the government, the biggest in civil rights history. But there were limitations on who could collect under the Pigford settlement (named for lead plaintiff Timothy Pigford, a Black corn and soybean farmer from North Carolina), and what kinds of documentation they would need to provide. Under W’s watch, many of the 22,000 farmers who had joined the Pigford suit were denied payment; by one estimate, nine out of 10 farmers who sought damages were denied. And the Bush Department of Justice, representing the USDA, reportedly spent 56,000 office hours and $12 millioncontesting farmers’ claims. Many farmers believed their claims were rejected on technicalities. Much of the Obama food and farming legacy (which is hers as much as his) is well known: the now permanent White House kitchen garden (which, incidentally, includes a section honoring Thomas Jefferson with favorite varieties from his own garden at Monticello) along with the (possibly less permanent) improvements to school meals that resulted from the bipartisan Healthy Hunger-Free Kids Act they championed, and the Let’s Move! campaign. The USDA under the Obama administration also made other efforts to improve our nation’s food system by promoting local and regional farm economies, increasing agricultural research, and strengthening federal dietary guidelines. He also fixed a lingering problem with the Pigford discrimination settlement described above. Failure to effectively notify and communicate with Black farmers eligible for payout under the 1999 settlement meant that many farmers were left out. Obama’s Secretary of Agriculture Tom Vilsack and Attorney General Eric Holder advocated for a fix, and in 2010, the administration announced a $1.25 billion settlement of the so-called “Pigford II” claims. These eight former presidents have made their mark on U.S. agriculture and food, delivering both progress and setbacks. Bottom line this Presidents Day? We still have a lot of work to do to achieve a healthy, sustainable, and just food system in this country. Next time I’ll look at what happens when the occupant of the White House is not only not a farmer, but seems puzzlingly (if not cynically) indifferent to farmers’ concern. And when, instead of a healthy food advocate, he’s an unabashed proponent of the same processed and fast foods that are damaging the health—and even shortening the lives—of our nation’s children. This post originally appeared on the Union of Concerned Scientists blog and is reprinted with permission. Most of its “deregulatory” actions and planned initiatives match up with specific industry requests. First came the smoke. The explosion hit 20 minutes later—so massive it killed 15, injured 260, damaged or destroyed 150 buildings, shattered glass a mile out and set trees ablaze. Under stadium lights, the West, Texas, high school football field, home of the Trojans, was transformed into a makeshift triage center. 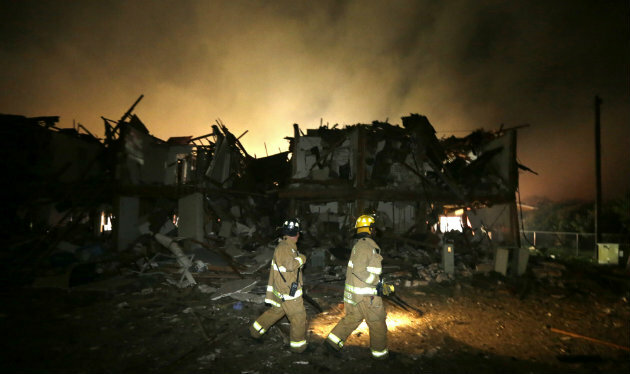 The 2013 disaster in West, a town of just 2,800, began with a fire at the local fertilizer plant, highlighting safety gaps at thousands of facilities nationwide that use or store high-risk chemicals. It took the U.S. Environmental Protection Agency nearly four years after that to issue a rule intended to prevent such accidents—a move strenuously opposed by industry groups such as the American Petroleum Institute. Just a week after the rule was issued, Donald Trump was sworn in as president. Businesses tried again, asking for a delay of the requirements. This time, they got what they asked for. The EPA has granted more than a few private-sector wishes lately under the guise of regulatory reform. Roughly 62 percent of the agency’s “deregulatory” actionscompleted in Administrator Scott Pruitt’s first year and 85 percent of its planned initiatives match up with specific industry requests, according to a Center for Public Integrity analysis. These changes targeted requirements ranging from air-pollution limits for oil and gas operations to water-pollution restrictions on coal-fired power plants. Many of these steps followed entreaties from a small number of powerful lobbying groups, including the U.S. Chamber of Commerce, the American Chemistry Council and the National Association of Manufacturers. The EPA, which ignored a half-dozen requests for comment, has said officials are merely reigning in an agency that they assert routinely overstepped its authority. But there is another interpretation. The analysis shows the EPA has been captured by industry, said Alexandra Teitz, a former agency attorney. Alex Howard, deputy director of the Sunlight Foundation, an open-government group, said the industry successes have come while the EPA is “operating under a veil of secrecy.” The agency has failed to routinely disclose day-to-day activities it previously made public, he said. While Oklahoma attorney general, Pruitt sued over 14 major EPA regulations and opposed others, including the chemical-safety rule. His legal interpretations tend to align with industry desires: a 2017 New York Times investigation revealed his deep ties to companies and propensity to use their arguments as his own. When Trump directed all federal agencies to reconsider existing rules a month into his term, Pruitt seized the opportunity. Regulatory reform would mean “listening to those directly impacted by regulations,” in contrast to the ways the Obama administration “abused the regulatory process,” he said in an EPA news release. To see who has benefited so far, the Center examined the EPA’s list of completed deregulatory actions and its October agenda for future reform, comparing them to requests made by the private sector in comments to the agency in previous months. The analysis focuses only on the agency’s stated deregulatory actions. It doesn’t capture other steps taken by the EPA that also went industry’s way, such as the March decision not to ban the pesticide chlorpyrifos, suspected of harming children’s brains. Agency scientists previously recommended prohibiting its use. In April, the EPA asked the public what rules it ought to roll back. Americans flooded the agency with comments that urged officials to keep environmental-health safeguards intact, while numerous businesses pointed to rules they considered burdensome. The EPA said it drew from those comments to craft its regulatory reform agenda, released in October. But at least three of the four broad initiatives announced by the agency and all nine of the rules identified for reconsideration stemmed from industry requests—85 percent of the EPA’s reform plans. Reopening a rule allows industry to make the case again that the regulations should be less stringent. Southern Co., for example, previously opposed regulations intended to limit water pollution from coal-fired power plants, asserting the agency relied on “faulty cost-benefit analyses.” Prior to Pruitt, the EPA disputed these claims. Now, it’s taking another look. Southern Co. declined to comment. Corporate influence is also apparent in at least 13 of the 21 actions the EPA has taken since Pruitt became administrator on Feb. 17 of last year. Six of these actions delayed, rescinded or reopened for consideration major regulations—wins for business interests. For instance, the agency delayed through May 2018 stricter requirements to protect people applying certain toxic pesticides, a move supported by companies such as Bayer Corp. Another seven industry victories came on narrower issues; manufacturers of wood products, for example, won a deadline extension to meet emission standards. Industries didn’t always get what they wanted, of course. In part that’s because not all companies are on the same side of every issue. For example, the National Association of Manufacturers and other business groups that oppose the Clean Power Plan, the Obama-era rule aimed at limiting planet-warming pollution from the U.S. power sector, were pleased when the EPA said it would consider a repeal. Microsoft and Apple, on the other hand, supported the regulation in federal court. Many companies and trade organizations say their outreach to the EPA is no different than in previous administrations. Some are employing the same arguments they used during the Obama era, including assertions that small environmental gains are coming at an outsize cost to business. “We have lost the critical balance in our federal environmental policies between furthering progress and limiting unnecessary economic impacts,” the National Association of Manufacturers wrote to the EPA last year. The group didn’t respond to the Center’s requests for comment. “We have lost the critical balance in our federal environmental policies between furthering progress and limiting unnecessary economic impacts,” the National Association of Manufacturers wrote to the EPA last year. These reviews will aid the public, companies said. “A vibrant U.S. manufacturing base that helps American companies compete globally and keeps jobs here at home is what we all want,” wrote Laura Toole, a spokeswoman for General Motors. But Teitz, the former EPA lawyer, said Pruitt is pushing agency norms. It’s not unheard of for new administrations to take another look at regulations that aren’t yet in effect, or even those that are, she said. But this EPA is reversing rules companies already must follow at an unprecedented rate, she said, causing confusion for officials in the field and leaving the public under-protected. That, public advocacy groups and states such as New York and Massachusetts say, is exactly what has happened with the chemical-safety rule, delayed through February 2019. Since the rule was finalized in the waning days of the Obama administration, more than a dozen accidents, leaks, explosions and fires occurred at facilities that would have been covered by these new requirements, according to the Sierra Club. At least eight people died. More than 40 were injured. Whichever way the court rules, it likely won’t affect West, Texas. The town hasn’t replaced its fertilizer plant and has no intention of doing so, said John Crowder, a local pastor. Crowder is no great fan of regulation. Now, though, he sees a need for more oversight. He doesn’t know much about the requirements the EPA enacted and then put on ice, so he can’t say whether they would avert tragedies like the one in West. MESA, Ariz. – There’s nothing in the closet. Nothing under the bed. Nothing coming to get you. What do you tell the children then? Hide. Run. Stay close. Come out with your hands up. Be brave. I love you. Be brave. Come home. Please come home. Anthony Rizzo returned Monday from his town. Parkland, Florida is the last casualty. The latest one. He returned mad and sad and feeling helpless, another American with a soul. He asked for change but wouldn’t say how, leaving it there, helpless like the rest. Just stop shooting people, maybe. Stop killing people. And, damn, he returned proud of his town. Prouder, he’d probably say. Those people, in the right place at the wrong time, honored their dead children and friends and dads. They lifted their heads and raised their voices. They want change too. Fewer tears, candles, vigils, funerals. Anthony’s parents settled in Parkland back when it didn’t have use for a stoplight. They raised their children with the town, like it was supposed to be, and raised their town with the children. “Then you got this monster coming in …” Anthony said. When Parkland became a casualty Anthony had to go stand in what his town had become, through no fault of its own, another town in the right place at the wrong time. He spoke to the people and hoped it might help and was afraid it wouldn’t, couldn’t, because what were words besides something to buy time until the next horror show. “You don’t know what to say,” he said. “You just don’t know what to say. There’s nothing you can say. When people get shot you’re grateful that they’re alive. When they pass away you’re grateful that you knew them. To look at the bright side of things if you can. He knew that football coach who took a bullet. Everybody knew coach Aaron Feis. He knew the families who grieved. His agent’s niece died there, in one of those hallways or classrooms. He knows the teachers who herded potential targets, who suddenly understood the difference between a drill and the real thing, because the drills didn’t involve tying tourniquets. In Arizona, Anthony heard there’d been another shooting somewhere out there. That the details were vague. He went back to his golf game. Over the next hours, the gunman got closer. 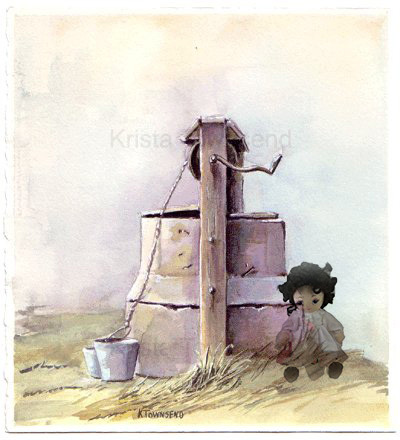 Closer to Anthony’s town, his world. Closer to his people. The injuries became worse, until they became unfathomable. The numbness blew into grief. Something crazy had happened. Days later, here they are. It’s the town with the young woman demanding action through her angry tears. It’s the town with the young man saying: No more. Not here. Not anywhere. Kids sorting their heartache from their rage, they won’t shut up, bless them, and they won’t be victims, and they won’t be bullied, and maybe this is the change. Maybe this is where Anthony becomes their people. Where we all do. 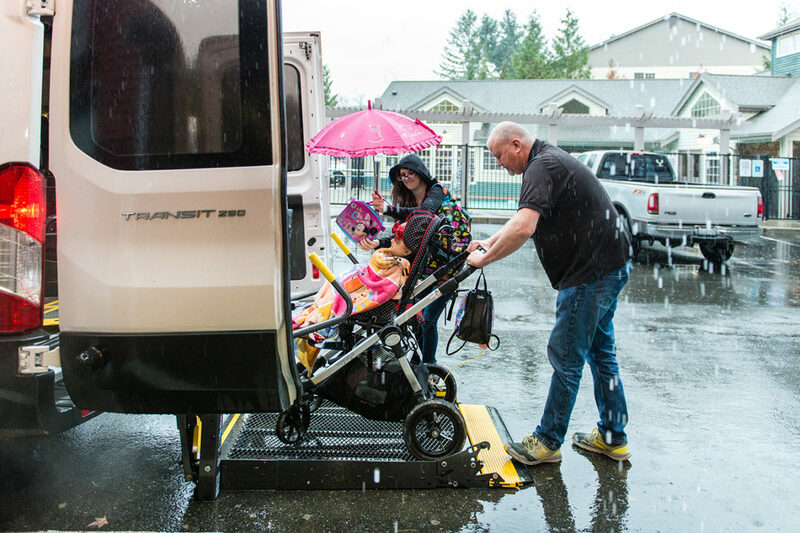 “They just went through – who knows, I can’t tell them what they just went through, the scariest time of their life, that nobody should have to go through,” he said. “And for them to be outspoken about it, it shows they are not going to sit back and be another statistic. They really want to make a change. Hopefully this … I can’t even sit up here with confidence and say hopefully this is going to be the last mass shooting, because it probably won’t be. But, hopefully this is one of the steps in the right direction. He wore a uniform again, ready to get on with it. What happened – the beds left empty, the lives unraveled, the monster who came – won’t ever be undone. He left because he’d believed he had to, and returned unsure if he’d helped, but was hopeful. He’d tried. He’d keep trying. It’s what you tell the children now. While President Donald Trump rails at American companies that hire foreign workers, he’s not following his own advice. Of 144 openings at three of his properties, including Mar-a-Lago, only a single one went to an American, according to Department of Labor records. The rest went to seasonal foreign workers in the U.S. on special visas requested by the Trump Organization, reports Vox. An examination of filings by the Trump Organization with the Labor Department from 2016 to 2017 reveals that a lone American worker, a cook, was hired in August 2016 among 144 open positions for servers, cooks, housekeepers and bartenders, Vox found. Most of the jobs were at Mar-a-Lago in Palm Beach, Florida, Trump’s favorite weekend getaway. The others were the National Golf Club in Briarcliff Manor, in New York, and Trump National Golf Club in Jupiter, Florida. The jobs generally pay $10 to $13 an hour. Mar-a-Lago was granted 70 visas to bring in foreign workers just last year for the winter season beginning in October. That was a 9 percent increase over the previous year. Since 2010 Mar-a-Lago alone has obtained a total of 500 H-2B visas for seasonal workers, many of them from Haiti and Romania, sources have told The New Yorker. In January Trump’s Department of Homeland Security removed Haiti from the list of more than 80 countries eligible for those visas as well as for the H-2A farm-worker visas, citing “high levels of fraud and abuse” and a “high rate of overstaying the terms” of their visas. Fortune magazine warned that the crackdown on Haitian workers could “cripple” Mar-a-Lago since the resort has long relied on Haitians. DHS took the action just days after Trump complained about immigrants from what he reportedly called “shithole countries,” referring to Haiti and African nations. The H-2B visa program allows non-agricultural, seasonal employers — such as hotels — to hire foreign workers but only when the businesses can’t find Americans to fill the jobs. The Trump administration temporarily expanded the program in 2017, which benefited Trump businesses. At the same time, the president restricted the H-1B program for highly skilled immigrants. Companies are required to run two want ads in local newspapers before applying for foreign worker visas. Mar-a-Lago placed two hard-to-find classified ads in tiny type with no phone number or email information, according to a Washington Post report last year. Workers could apply for the jobs only by fax or mail. CareerSource Palm Beach County, a nonprofit placement agency, told The Palm Beach Post at the time that they had thousands of Americans eager to work at Mar-a-Lago. Trump has criticized Ford Motor Co., Carrier Corp. and others for moving manufacturing jobs to Mexico. Mar-a-Lago was applying for the foreign worker visas last July at the same time the president launched “Made in America Week” at the White House. CNN reported in 2016 that Trump businesses had employed at least 1,256 foreign workers in the previous 15 years. Trump Vineyard Estates filed requests for visas to bring in foreign farm-workers at its Virginia winery in 2016 and 2017.
Who is Trump’s Budget Director Mick Mulvaney? NowThis Politics‘s video to the group: Veterans against the G.O.P. Who is Mick Mulvaney? Narrated by Elizabeth Warren. Unbelievable! Author John HannoPosted on February 17, 2018 February 17, 2018 Categories "Dead Skunk in The Middle of The Road", Environment, Health - Happiness, Labor and Working, Politics in America, Today's News?, VeteransLeave a comment on Who is Trump’s Budget Director Mick Mulvaney? More than 1 in 5 Americans — about 74 million people — now rely on Medicaid to pay for their health care. Trickle-down economics is a hoax, but rise-up economics is the real deal. Class in Session shared Robert Reich‘s episode. The only real way to build the economy is through rise-up economics — not trickle-down economics. Investment in American workers — in their health care, job training, and education — is the key to economic growth, not tax cuts for the rich and corporations. Our latest video explains why we must put an end to trickle-down nonsense. Author John HannoPosted on February 17, 2018 February 18, 2018 Categories Labor and Working, Politics in America, Today's News?, VeteransLeave a comment on Trickle-down economics is a hoax, but rise-up economics is the real deal. Funding for farm conservation programs would be slashed by $13 billion over 10 years, impacting the environment and farmers alike. Members of the House and Senate Agriculture Committees are starting to shape the 2018 Farm Bill–a comprehensive food and agriculture bill passed about every five years. Most observers associate the farm bill with food policy, but its conservation section is the single largest source of funding for soil, water, and wildlife conservation on private land in the United States. Farm bill conservation programs provide about $5.8 billion yearly for activities such as restoring wildlife habitat and using sustainable farming practices. These programs affect about 50 million acres of land nationwide. 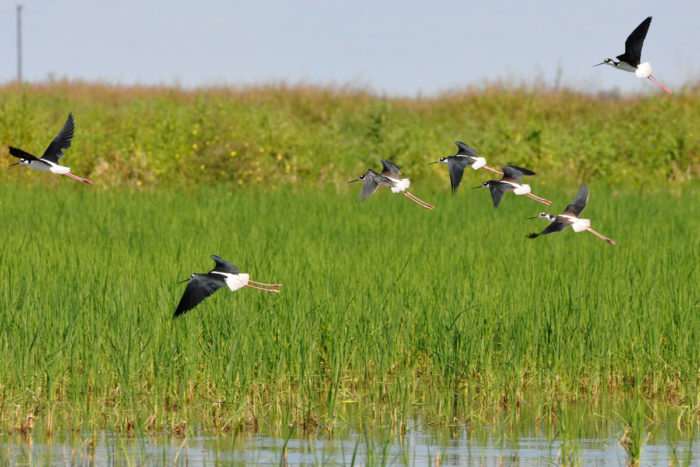 They conserve millions of acres of wildlife habitat and provide ecological services such as improved water quality, erosion control, and enhanced soil health that are worth billions of dollars. Sixty percent of U.S. land is privately owned, and it contains a disproportionately high share of habitat for threatened and endangered species. This means that to conserve land and wildlife, it is critical to work with private landowners, particularly farmers and ranchers. Farm bill conservation programs provide cost shares, financial incentives, and technical assistance to farmers and other private landowners who voluntarily undertake conservation efforts on their land. President Donald Trump’s 2019 budget request would slash funding for farm bill conservation programs by about $13 billion over 10 years, on top of cuts already sustained in the 2014 Farm Bill. In a recent study, we found that it is highly uncertain whether the benefits these programs have produced will be maintained if they are cut further. Conservation on private land produces tangible benefits for wildlife, water quality, erosion control, and floodwater storage. The public value of these improvements extends far beyond the boundaries of any individual landowner’s property. Studies have shown that farmers appreciate the direct benefits they receive from participating in these programs, such as more productive soil and better hunting and wildlife viewing on their lands. Conservation programs can also provide farmers with an important and stable income source during crop price downturns. Congress made substantial cuts in farm bill conservation programs in 2014–the first reductions since the conservation title of the bill was created in 1985. 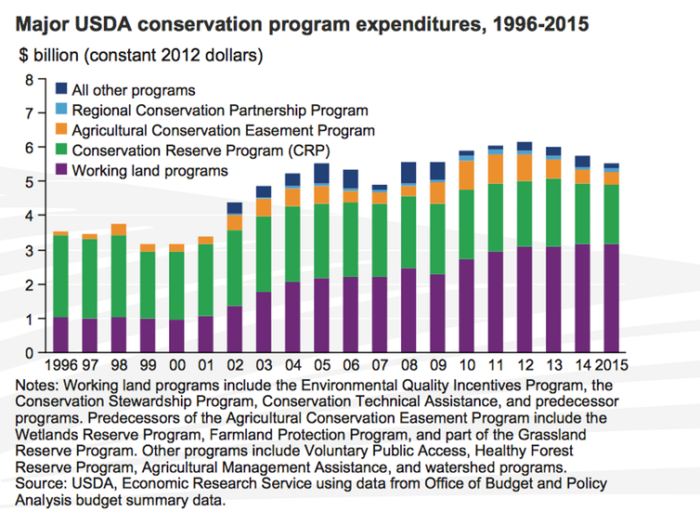 In total, the 2014 farm bill reduced conservation spending by 6.4 percent, or about $3.97 billion over 10 years. These cuts reduced the number of farmers who were able to enroll in the programs. For example, the Conservation Reserve Program pays farmers to take environmentally sensitive land out of agricultural production and convert cropland into ecologically beneficial grasses. In 2016, due to budget cuts, it accepted just 22 percent of acres that farmers offered for enrollment. The Conservation Stewardship Program, which focuses on working lands in agricultural production, offers farmers financial incentives and technical advice for conservation measures such as cover crops or efficient irrigation systems. In 2015 USDA funded only 27 percent of CSP applications. The Trump administration’s proposed cuts have drawn criticism from conservation groups and farmers. Meanwhile, these programs appear to have bipartisan support in Congress. In October 2017, Sens. Debbie Stabenow, D-Mich. and Joni Ernst, R-Iowa, introduced a bipartisan bill to strengthen the Regional Conservation Partnership Program, which fosters private-public partnerships in regions of high conservation priority. The Trump administration has proposed to eliminate this program, along with the Conservation Stewardship Program. Funding will be tight for the 2018 Farm Bill, as USDA has acknowledged. A set of guiding principlesthe department released on January 24 pledged to provide “a fiscally responsible Farm Bill that reflects the Administration’s budget goals.” Congress will soon face funding decisions that will have critical implications for conservation outcomes and landowners. Further budget cuts in farm bill conservation programs would undermine environmental protection in multiple ways. Less land and wildlife would be protected, and fewer farmers would be able to enroll in these programs. Moreover, as our study concluded, landowners are unlikely to continue their conservation efforts when payments end. Federal agencies and environmental organizations generally would like to see owners keep up conservation practices even when they no longer receive federal incentives. We call this phenomenon “persistence.” Designing incentives so that they produce lasting behavior changes is a challenge in many fields, including agricultural conservation. Our search of relevant scientific publications found very limited research on landowner behavior after incentive program contracts end. What research has been done indicates that persistence is highly variable and often does not occur. Studies have found that after contracts expire, the percentage of landowners who continue conservation management can range from 31 to 85 percent. 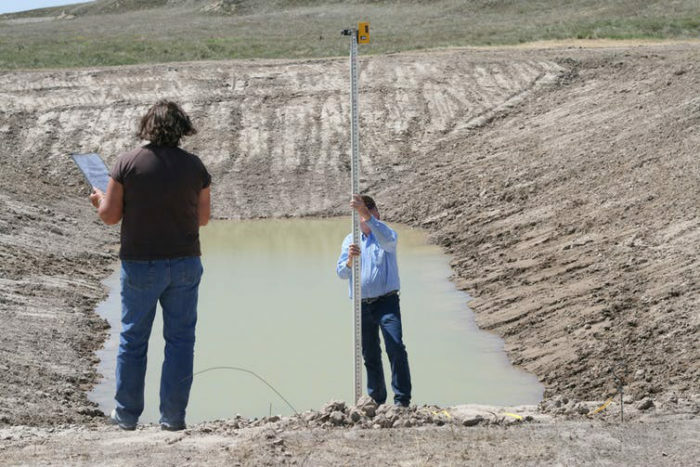 Persistence also depends on the practices landowners are required to perform. Structural actions like planting trees are more likely to have lasting effects than measures that landowners need to perform frequently and may abandon, such as treating invasive plants with herbicides. Little is known about why landowners do or do not persist with conservation behaviors after incentive programs end. But we have identified several mechanisms that could support persistence behavior. As landowners participate in conservation programs, they might develop positive views of conservation. They also may continue to use conservation practices because they want to be perceived as good land stewards. Practices that involve repeated action, such as moving cattle for prescribed grazing, might become habits. Finally, landowners with sufficient financial and technical resources are more likely to persist with conservation behaviors. Our research shows that it is hard to predict how farmers and ranchers will respond if they are unable to re-enroll in farm bill conservation programs. 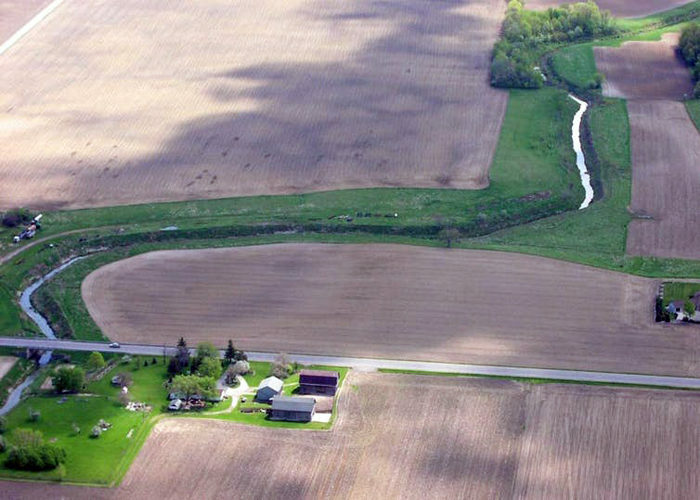 Some might continue with conservation management, but it is likely that many landowners would resume farming formerly protected land or abandon conservation practices. To promote conservation more effectively over time, it would make sense to consider farm bill policy changes such as issuing longer-duration contracts and designing post-contract transitions that encourage continued conservation. Further budget cuts will only reduce future conservation on private land, and could undo much of the good that these programs have already achieved. 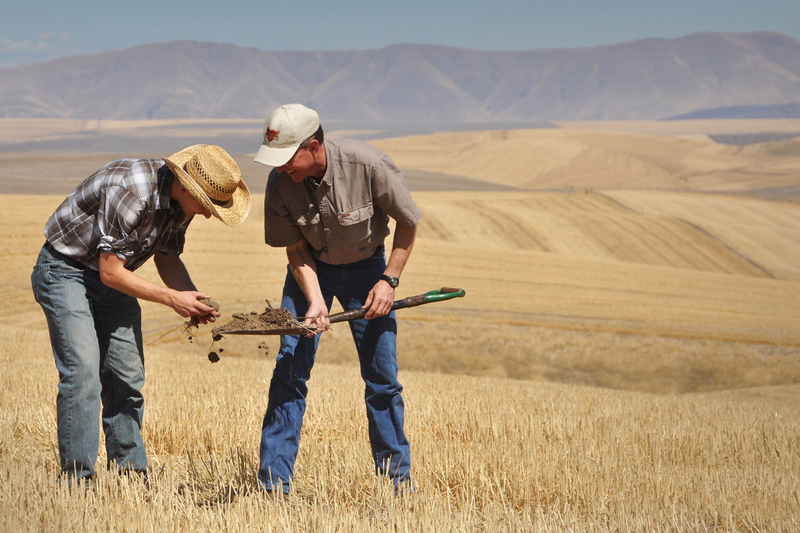 Top photo: U.S. Department of Agriculture (USDA) Natural Resources Conservation Service (NRCS) Soil Conservationist Garrett Duyck and David Brewer examine a soil sample on the Emerson Dell farm near The Dalles, OR. USDA NRCS photo by Ron Nichols. 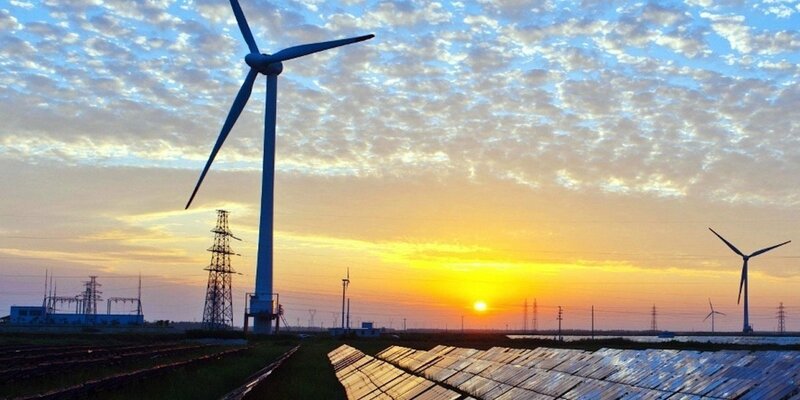 The Factbook, produced for the Business Council for Sustainable Energy by Bloomberg New Energy Finance (BNEF), shows that renewable generation boomed 14 percent in 2017 to hit 717 terawatt hours (TWh). This increase was driven mostly by the West Coast’s rebound in hydropower generation after years of drought as well as new wind and solar projects built in 2016 coming online in 2017. Rachel Luo, senior analyst for U.S. utilities and market reform at BNEF and lead author of the report, told Greentech Media that 18 percent might not sound like a lot but it brings renewable energy “within striking distance” of nuclear, which contributes about 20 of total annual U.S. electricity generation. “In 2017 it’s a very significant story that renewables are making a lot of headway in pushing forward the decarbonization of the power sector, even as the natural gas share decreases,” she said. Even though natural gas is still the number one producer of U.S. power, “[its] downtick could be from a variety of factors [such as] the increasing penetration of renewables, but load growth is also stalling and … natural gas prices have recovered a little,” Luo told Greentech Media.